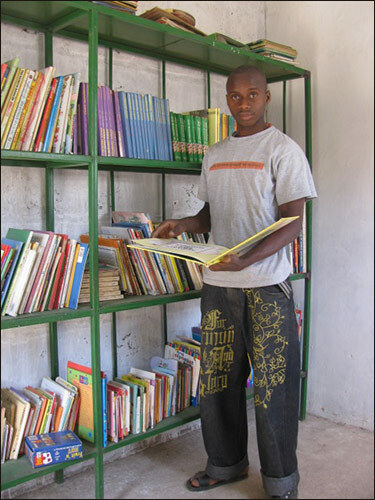 At the moment we have 34 sponsored students, many of whom are now in higher education. 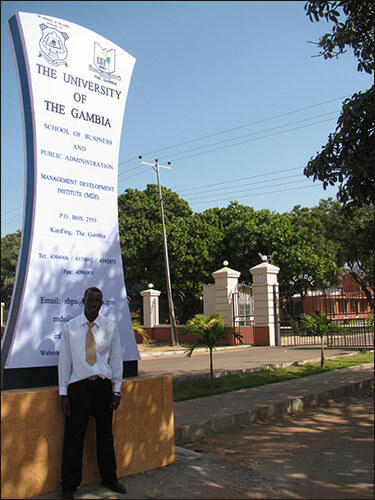 Two are in GTTI (Gambia Technical Training Institute), and Lamin Njie is at Gambia University studying for his Accountancy and Management degree. We are very proud of our students, and so pleased that we have been able to help them to achieve such success thanks to all our sponsors. Our first student to leave higher education (GTTI) now has a permanent job working full-time as a qualified plumber. He is now married with a baby and they are a very happy family. The children now have school uniforms in yellow and brown. Shorts and shirts for the boys and dresses with a tie belt for the girls – this has encouraged more children to attend, and we now have 80+ pupils attending. Tombolou is our school cook, so that the children have a meal every lunchtime. Alpha is growing cassava, bananas and various other fruit trees in the school grounds. 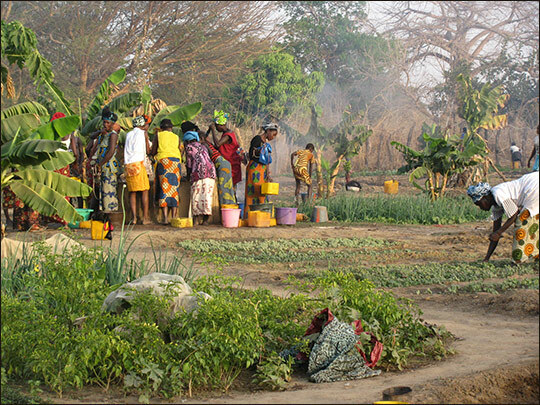 All proceeds of any vegetables sold go into the school fund, some of which in turn helps to pay for the oil used for cooking the school lunches. Alpha is doing very well as our caretaker and gardener in the school, keeping not only the gardens but also keeping the school neat and tidy. There are some new desks and benches in the school, supplied by another charity we are in communication with from Germany. And we have provided some large mats for the younger ones to play on. There are quite a lot of supplies now in the classrooms for the teachers and pupils to use. The individual blackboards used by the children, class blackboards and the classrooms were all being painted when we last visited in February this year. The school is functioning well, and there have been huge improvements made over the last few years. The children enjoy coming to the school, and the teachers are doing very well. 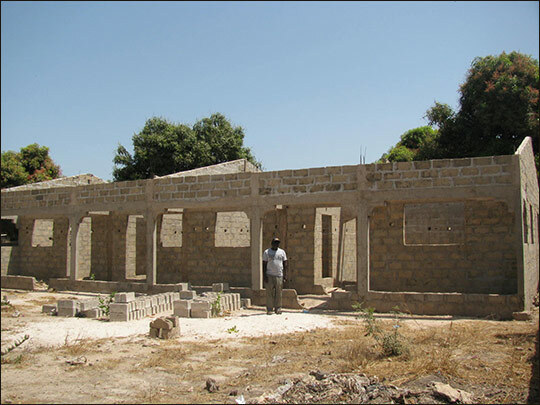 The school desperately needs windows in three of its’ classrooms. The rooms are dark and have very little ventilation. We are currently putting windows into one of the classrooms; if that solves the problem – and it certainly should do – then we will continue to fit windows into the other two. 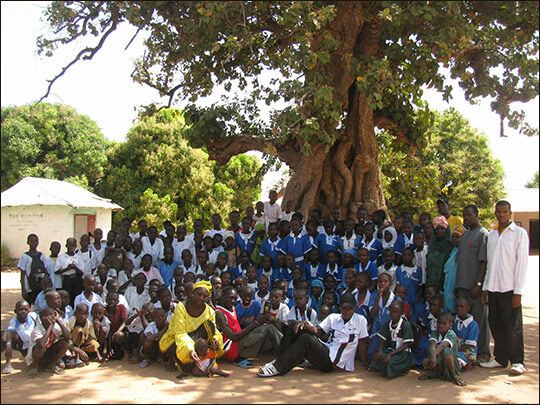 We have provided 2,500 exercise books for the current school year, (we source these in Gambia). In our last shipment we sent lots of stationery materials including pencils and pens which they always need. There are 294 pupils at the school, plus the nursery school class whom we help with their requirements. The school fund is very important to the school, and we have sponsors who provide this which in turn helps all the parents of the students in this school. The school sports day takes place at the end of March. They have four ‘houses’, all named after a Kunda (home\compound), and one of these is called Friends of Si-Kunda, we wish them lots of luck! The ladies garden area has been extended and the ground has been cleared and fenced. A huge working party from the village cleared the ground very quickly one evening in February. Grasses and shrub were all cut and burned.. It is incredible the difference there is to the vegetable plots in just a couple of weeks once the rice harvest comes to an end, so many varieties of vegetables being grown. A few women have been to have some management training in another village Jenoi, and we are hoping to get some further training this year for women in crop rotation and management in Soma the nearby town. Although we have five wells in the garden area we believe we will need to dig a further well or provide some sort of irrigation in the not to distant future. We have two men from the village going to have bee-keeping training this year as we are hoping to start this enterprise in the Autumn. The building has now been constructed on the land we purchased last year. We now have to put on the roof, plaster, put floors in, windows, doors etc. So a long way to go yet! But once finished this will provide a home for Sankung and his family, and the students who need lodgings while at further education near the coastal area. The centre is being well used not only for sewing, but also as a community library, all village meetings, health clinics and is used by any visiting NGO’s or government departments; for example Agricultural programmes (as happened while we were there in February). It is very encouraging to see how important this building has become to the village. haberdashery and wools now all stored in the room behind the sewing area. 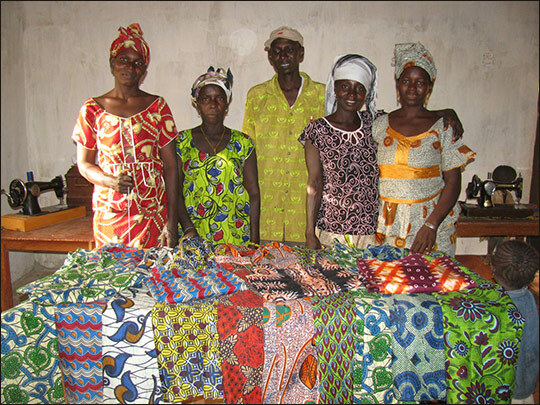 .Lamin manages the workshop and has been training some of the ladies, which has resulted in four ladies, Hawa, Anna, Kinte and Tomary making some wrap skirts\sarongs and 6 tops while we were there which we have brought home to sell in our sales this summer. 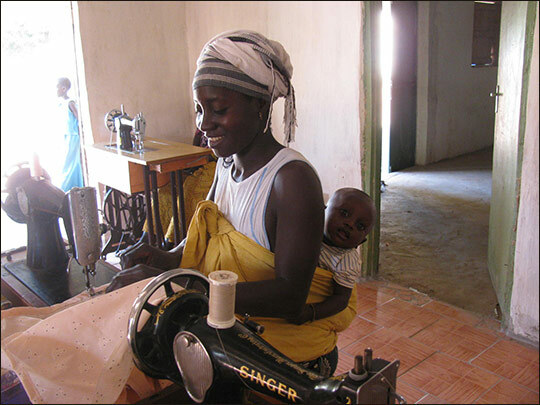 Ladies also use the sewing room to make their own repairs and make clothing for their families. It is used much more during the months of February to July, once the rainy season starts then most of the women will be back in the rice fields. Some of the ladies are very good at crocheting, and use it also to make edging around bedcovers and clothing. Sanna, one of our sponsored students is now working voluntarily managing the library from Friday to Sunday 3pm till 5pm. The library is fitted out with metal shelving, lots of books both reference and fiction, seating and a table. There is access to the back yard which is shared with the other areas of the building which is enclosed with seating and toilets. borrowed and details written down by Sanna to ensure they are returned. We continue to support both with medical and other essential supplies as they are local to Si-Kunda.